The requests were filed on Tuesday and they cover tariffs by China, the European Union, Canada, and Mexico, imposed after a 25% tariff on steel imports and a 10% duty on aluminum imports by the US, introduced on national security grounds, the WTO meeting agenda wrote. Canada, Mexico, and China had also planned to ask for a WTO panel examining American tariffs on metals, an anonymous source told Reuters. Earlier on Thursday, Norway said that it, along with the EU and other countries would seek the WTO dispute group’s help over the clash of tariffs since consultations with the United States hadn't provided any viable solutions. “We believe that the additional US duty on steel and aluminum is contrary to WTO rules,” Norwegian Foreign Minister Ine Eriksen Soereide said in a statement, adding that Norway, as well as others, would be asking for an independent assessment of the matter. “Together with the EU and several others, we asked the WTO today to establish a dispute resolution panel on the additional U.S. duty,” she said. The reports that the US is going to address the WTO about the retaliation to tariffs occurred at the same time as the Chinese Ministry of Commerce announced that Beijing had filed a request for the WTO to establish an expert group to determine whether the tariffs imposed by the US administration on imports of steel and aluminum were legal. In a statement posted on its website, the ministry said the tariffs on imported steel and aluminum imposed in March of this year was an act of protectionism that seriously undermined multinational trade rules. "The US steel and aluminum duties, explained by national security interests, in fact, represent trade protectionism and bring significant damage to international trade rules. A lot of WTO member states, including China, have opposed them," the ministry said. Russia requested the establishment of an arbitration panel on Thursday. China made its request on the same day. The creation of an expert panel is a stage in the WTO dispute settlement procedure that is invoked if the parties fail to resolve their disagreements during bilateral consultations. 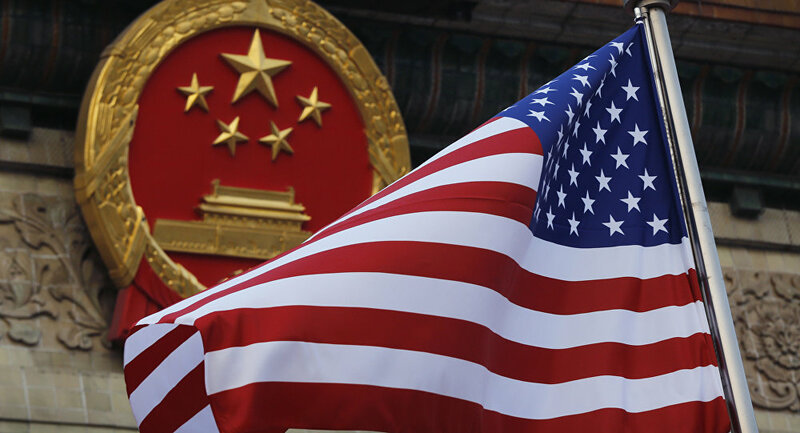 On Wednesday, US Commerce Secretary Wilbur Ross told CNBC that trade negotiations with China have been paused, lowering expectations that the countries would be able to make substantial progress toward an agreement at an upcoming G20 meeting.